A third-person perspective exploration game about death and loneliness. It was developed by an independent developer who also created Home is Where one Starts. 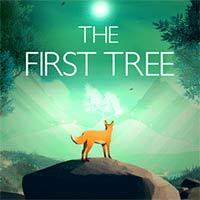 The First Tree is a third-person perspective action explorative game that tells about death and loneliness. It was created for PC by the independent developer David Wehle who also created Home is Where One Starts…, a simple game nominated for the award for the most emotional game of 2015. Other nominated titles were Life is Strange and Ori and the Blind Forest. The story of The First Tree was based on two related stories. The player follows the tale of a female fox that is searching for her lost offspring and of a young pair of humans that are facing a death of their close one. During the game the player assumes direct control of the fox. Her silent journey in search of the titular tree is an attempt to answer the questions about the source of the life and the sense of the death. Gradually revealed pieces of the story show the connection between the fate of the animal and the story of the pair of humans. The general principles of The First Tree for PC are similar to the ones present in the first game developed by David Wehle. The gameplay isn’t focused on the result and competitive playing. The game is focused on exploration and discovering new places, facts and items that gradually reveal a deep and serious story. In contrast to Home is Where One Starts, the action is presented in third-person perspective and the exploration contains some platform game features. The title is also slightly longer than its predecessor – it can be completed in 1-2 hours. However, the number of facts that are discovered during that time depends on the player’s sensitivity and inquisitiveness. While Home is Where One Starts was trying to recreate the tune of a South American province in a realistic way, The First Tree for PC has completely different, more symbolical visuals that are similar to the Shelter series. The graphics, generated by using Unity engine, are more simplified and filled with polygons. Its main task is to create unique atmosphere that would be adequate to the serious topic of the story.